After spending the first 30 years of his life in Berlin, Huelsenberg moved to Munich where he joined the BMW Group in 1995. Planning areas of the production system for manufacturing plants in the global BMW Production Network. The move from the creative space of research and innovation into the manufacturing environment gave him a broader view of the automotive industry. He held various executive positions assigned throughout the global BMW Group, in plants including Shenyang, China and Chennai, India, which have honed and refined this knowledge and expertise. 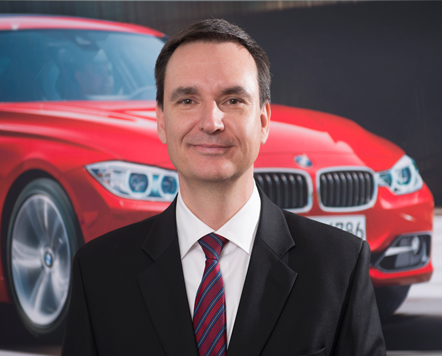 BMW South Africa welcomed Stefan Huelsenberg as Director for Plant Rosslyn in 2014. Synopsis of topic: Future investment in the production system of BMW Plant Rosslyn. Global activities in the fields of data and analytics, smart logistics, innovative automation and additive manufacturing. The development steps from Industrie 3.0 to Industrie 4.0.